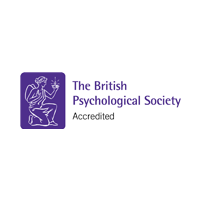 We are one of very few UK degree courses in psychology to offer a placement opportunity that is for an academic year. In the placement year, you’ll apply the theory you have learnt in a practical context. You will learn about an organisation and its area of work. This is an excellent opportunity to test potential career paths. You’ll develop skills such as teamwork, planning, problem-solving, decision making and project management. Employers value a year of professional work and you’ll gain an advantage in the job market. They have also taken placements at universities in the United States, Australia, New Zealand and South Africa.